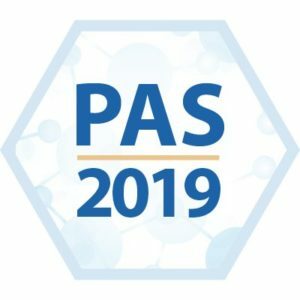 The Pediatric Trials Network (PTN) will host an informational symposium on Sunday, April 28, from 7:30 – 11:00 p.m. at the annual Pediatric Academic Societies (PAS) Meeting in Baltimore, Md. Register today to learn about the PTN’s contributions to child health and its unique perspectives as a network of more than 100 pediatric clinical research sites across the globe. The symposium will begin with a brief overview of the PTN and the Best Pharmaceuticals for Children Act (BPCA), which aims to encourage the pharmaceutical industry to perform pediatric studies to improve labeling for medical products used in children. Perdita Taylor-Zapata, Pediatric Medical Officer at the NICHD, and Kanecia Zimmerman, Assistant Professor of Pediatrics at the Duke University School of Medicine, will provide opening remarks. Matthew Laughon of the University of North Carolina at Chapel Hill and Kelly Wade of the Children’s Hospital of Philadelphia will provide real-world applications of PTN’s work and discuss the impact of clinical research in practice. Parents and adolescent participants in the International Children’s Advisory Network (iCAN) will participate in a panel discussion on how researchers can better engage with participants and caregivers. Janice Sullivan of the University of Louisville will spotlight partnering opportunities and work being done within and across research networks.